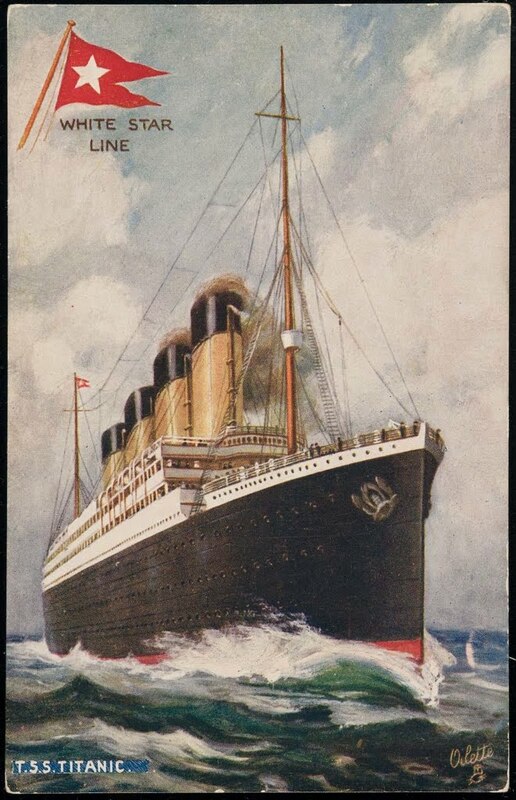 TITANIC: History's Most Famous Ship: May 31, 1911: Titanic is Launched! 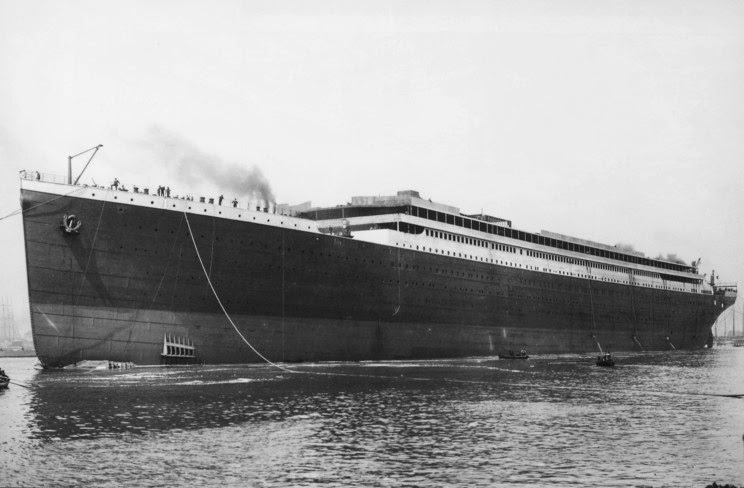 May 31, 1911: Titanic is Launched! On May 31, 1911, people from all over Belfast come to see the launch of Titanic. It has been 7 months since Olympic's launch and Titanic has been highly anticipated. Harland and Wolff's president Lord William Pirrie and his wife, both celebrating birthdays, host a group of distinguished guests for the launch. 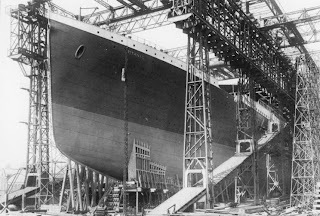 Titanic's hull sliding down the slipway. Aided by 23 tons of soap, animal fat, and train oil spread on the slipway, the ship slides into the Lagan River. The massive empty hull of Titanic reaches 12 knots and stops 1 minute later. Ship worker James Dobbins was fatally injured by a falling timber support during the launch. Unaware of this mishap, White Star officials celebrate the launch of Titanic and accept the completed Olympic as part of the fleet. Titanic's hull launched into the Lagan River. 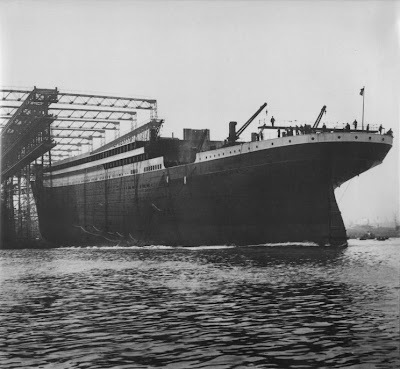 Titanic is towed to the dry dock for completion and Olympic is sailed to Liverpool to prepare for her maiden voyage. RMS Olympic on her maiden voyage.